Knowing about steam engine parts, make you familiar with the steam engine. 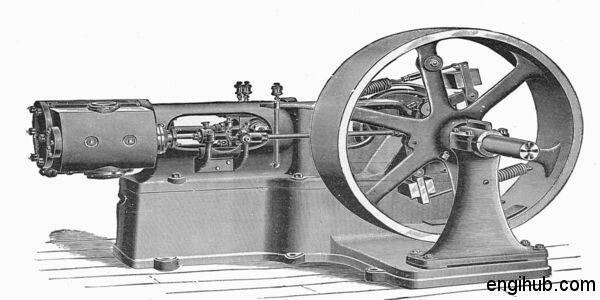 Steam engines are used widely in engineering up to 1930 for generation of power. Nowadays it is replaced by an internal combustion engine. The diesel engine and the petrol engine is the common example of an internal combustion engine. Steam engines are widely used on ships and in railways in old days at present they are replaced by diesel engines. Hence to disclose some more important information about this old machine steam engine, I am sharing the information about steam engines parts and their functions. It is the heavy casting which supports all the stationary and moving parts of the engine and holds them in proper alignment. It requires the foundation to rest upon or engine bedplate fixed on engine foundation. It is the cast iron cylindrical hollow vessel in which the piston moves to and fro under the pressure of steam. Crank side end and an outer end of the cylinder is closed by end covers and made steam-tight. It is the closed chamber integral to the cylinder. It supplies steam to the cylinder with the movement of a slide valve. This part is fitted with the crank end cover of the cylinder. Its function is to prevent the leakage of steam past the piston rod. It is the cast iron cylindrical disc moving to and fro in the cylinder under the action of the steam pressure. This part converts heat energy of steam into mechanical work. Cast iron piston rings make the piston steam tight in the cylinder and thereby prevent the leakage of steam past the piston. It is the link between a piston rod and the connecting rod. It guides the motion of the piston rod and prevents it from bending. It is cast iron part which helps to convert the reciprocating motion of the piston into rotary motion of the crank. Gudgeon pin is used to connect one end of connecting rod to crosshead. Its open end is connected to the crankshaft. It is made from mild steel on which flywheel is mounted on it. It is supported on the main bearings of the engine and it is free to rotate in them. This valve is fixed on the steam chest. Its function is to admit the steam from steam chest to the cylinder. Slide valve also exhausts the steam from the cylinder at the proper moment. The valve gets to and fro motion from the eccentric fitted on the crankshaft. This part support crankshaft and fitted in the engine frame known as a main bearing journal. It is made from cast iron or cast steel. This is mounted on the crankshaft to prevent the fluctuation of engine speed throughout the stroke. Hence it carries the crank smoothly over the dead centres. To control the speed of the engine according to the load conditions, the governor is used. The speed of the engine is controls either by the quantity or pressure of the steam supplied to the engine. I hope you will get some idea of Steam Engine parts.